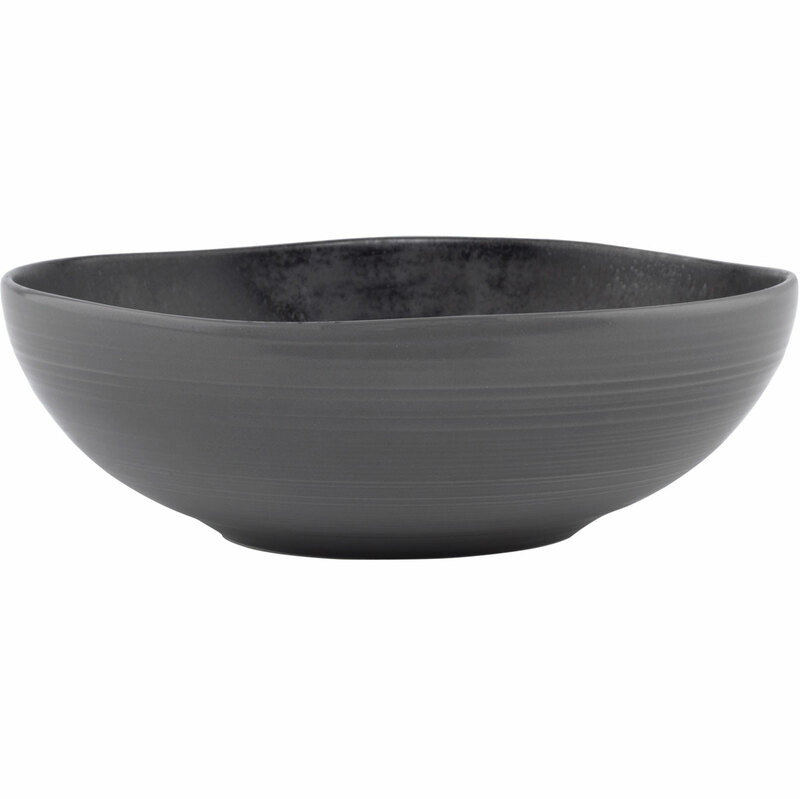 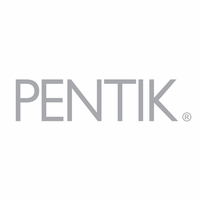 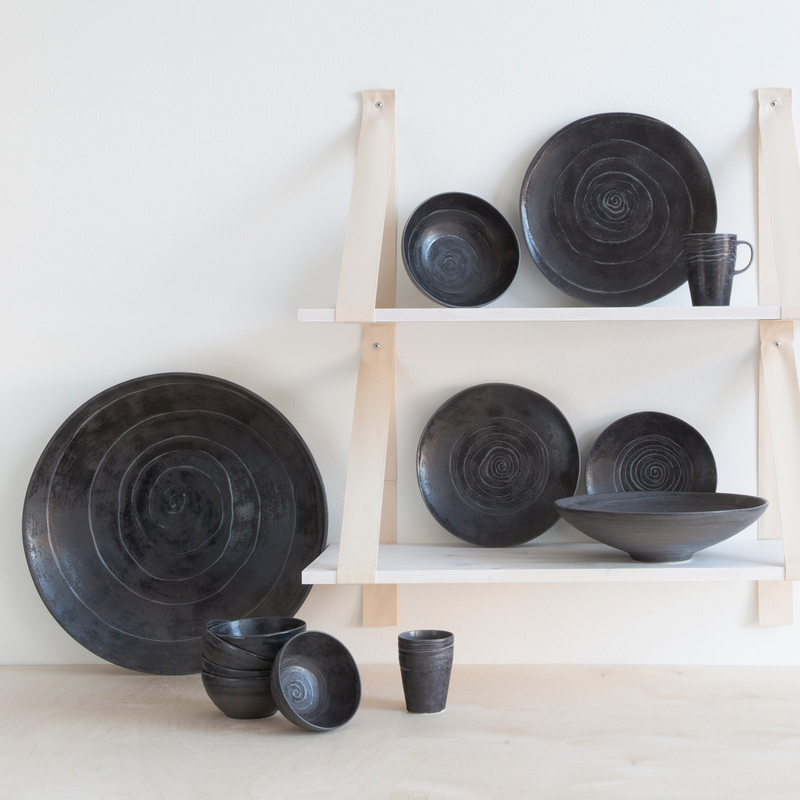 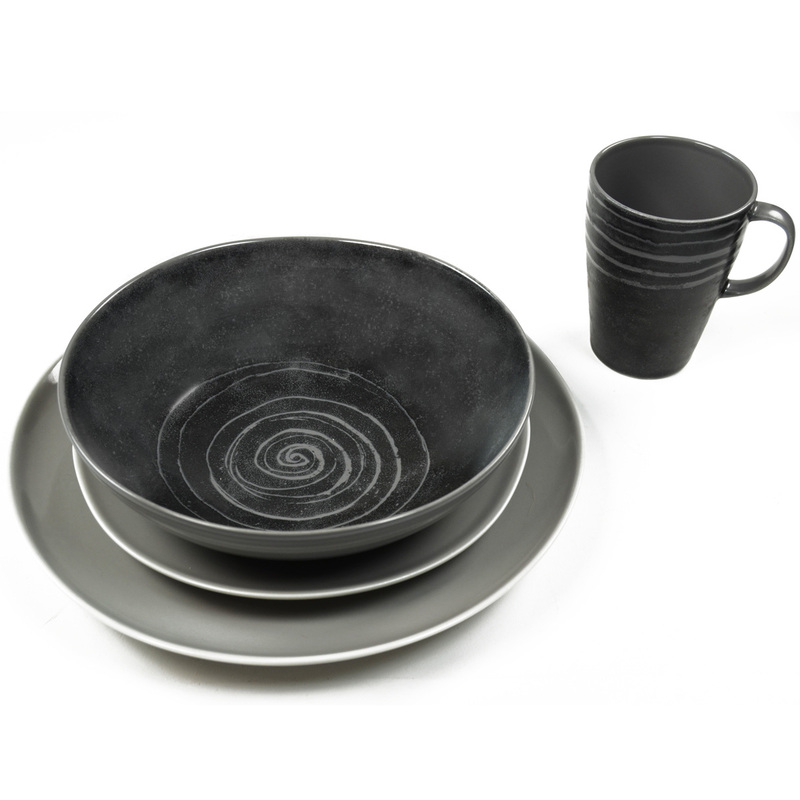 More about Pentik Kivi / Kallio 4pc Dinnerware Set Dark in color like stone, the handcrafted ceramics are adorned with swirled detailing like that of an inner rock that leaves no two pieces exactly alike. 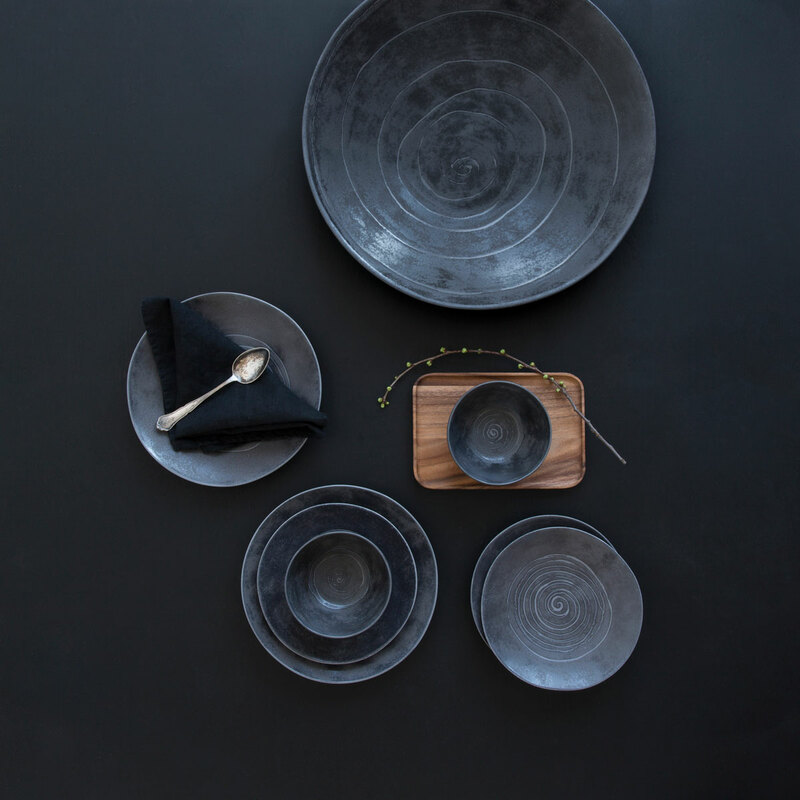 This texture not only adds visual appeal, but can be felt, making dining a rich, tactile experience. 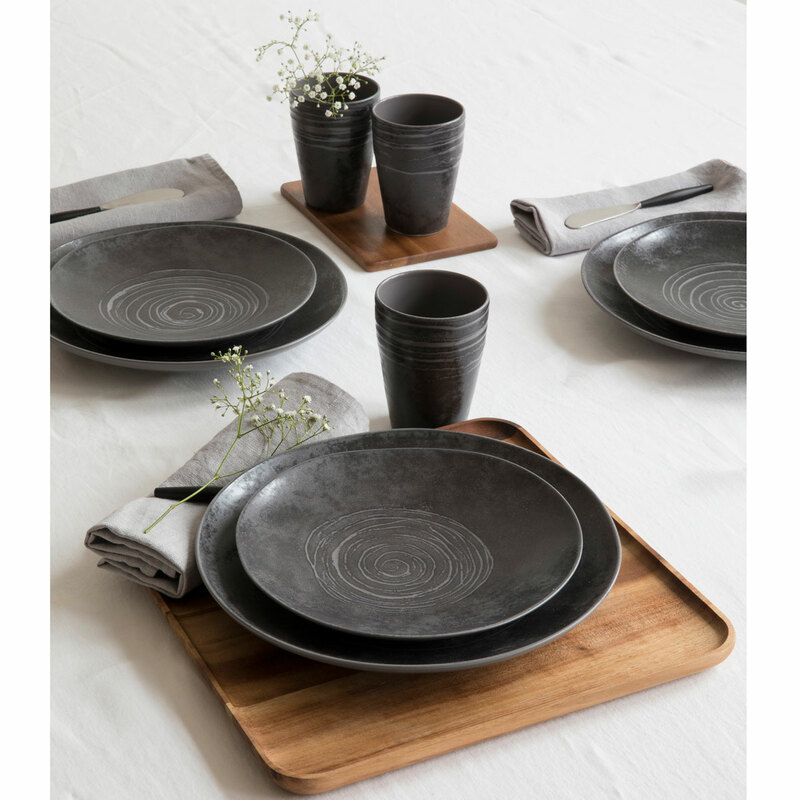 Set an inviting tablescape with this set curated from the complete collection and offered at a discount. 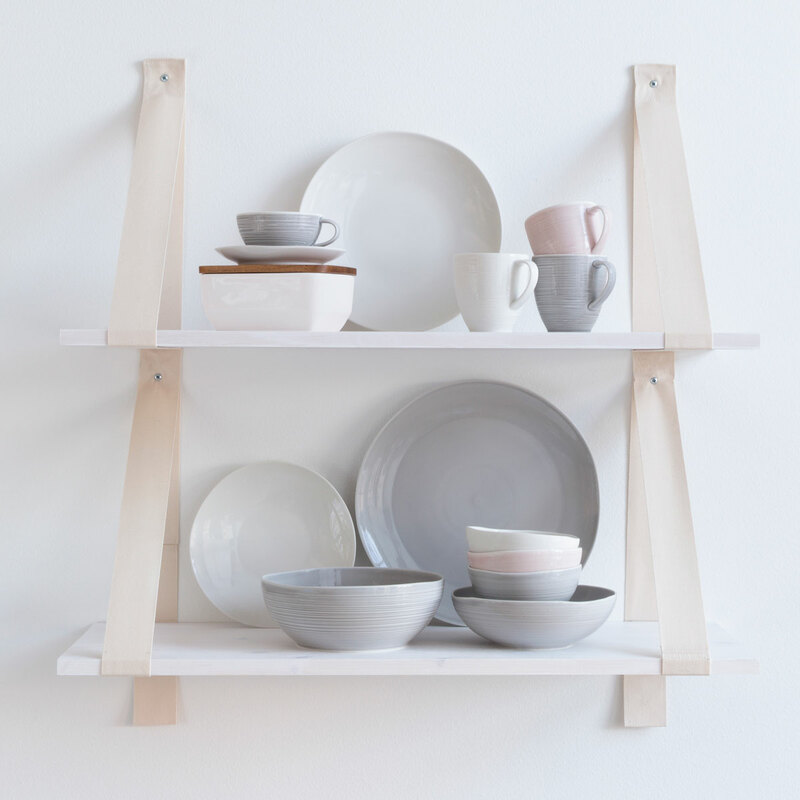 One dinner plate, one salad plate, one soup bowl, and one mug; the four pieces create a single place setting, so order however many will be at your table to share memories over meals.